All units can be accredited for students aged 14 and over, and for adults participating in K'NEX family learning activities. The units are accredited as progression units by the National Open College Network (NOCN) and also Open College North West (OCNW). Any organisation delivering family learning and/or adult education can register as a learning centre with their local Open College, and deliver the units for learners, using coursework materials supplied by the User Group. The unit for tutors is usually delivered directly by the User Group. 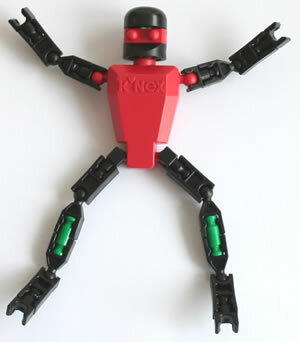 No previous experience of the KNEX construction kit is required for any of the units. Please email us for more information. Learners will build models from the KNEX construction kit to help them to better understand the technology of everyday life, including structures and simple machines. The learner will start by gaining familiarity with the KNEX construction kit, by building two simple working models from instruction cards (eg seesaw, swing). The learner will then complete a series of nine "challenges", in which they must build a KNEX model of an everyday structure or simple machine, without instructions (eg house, tower, bridge, crash helmet, car, roundabout, baby buggy, mousetrap, crane). 1. Understanding of the KNEX construction kit. 2. Ability to work from instruction cards. 3. Understanding of basic structures (eg house, bridge, tower). 4. Understanding of simple machines (eg seesaw, swing, roundabout, crane). Learners will complete ten one-hour model-building sessions using the KNEX construction kit, to help them to better understand numeracy, shape, space, measure and handling data in the adult numeracy core curriculum. 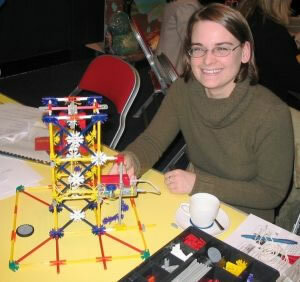 The learner will complete ten KNEX model-building sessions lasting one hour, working from instruction cards. Each session will cover one or more aspects of the adult numeracy core curriculum (eg counting, patterns and relationships, fractions, squares, cubes, estimating, equations, costing, 2-D shapes, 3-D shapes, nets, angles, segments, congruence, similarity, rotation, reflection, symmetry, areas, volumes, rulers, weighing, compasses, clock faces, sundials, dice, spinners, tables and bar charts). 1. 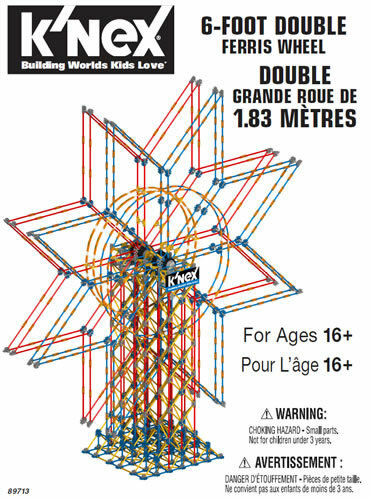 Understanding of KNEX construction kit. 4. Understanding of shape, space and measure. 5. Understanding of data handling. Learners will build ten models from the KNEX construction kit to help them to better understand the science of everyday life, including forces, motion and sources of energy. 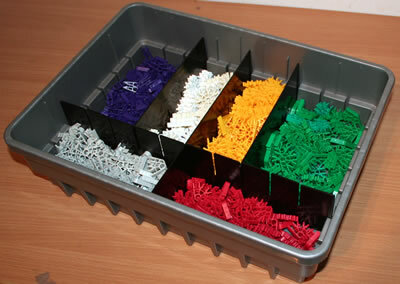 The learner will construct ten working KNEX models from instruction cards. Each model will demonstrate a different aspect of forces, energy and motion (eg weighing scales, wheelbarrow, steering wheel, battery powered car, rubber band-powered car, windmill, waterwheel, food mixer, exercise bicycle, block and tackle). 5. Understanding of sources of energy.